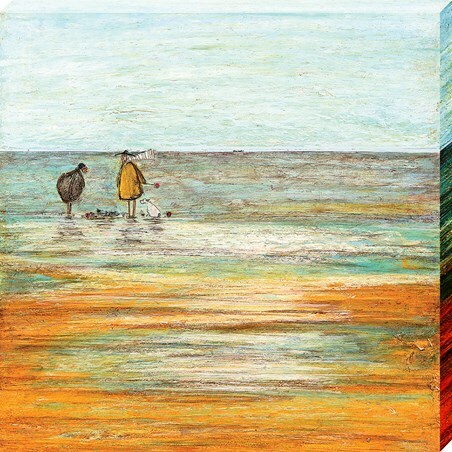 Scarves, hats and ears blowing in the wind, the trusty trio that is the Mustard family, sit enjoying the view! 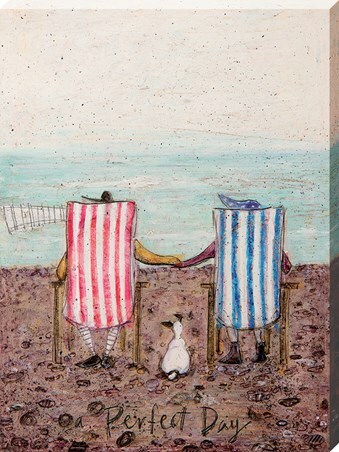 With their little Jack Russell Doris perched between the striped deck chairs, there's nothing quite like spending some quality time at the seaside with your nearest and dearest. 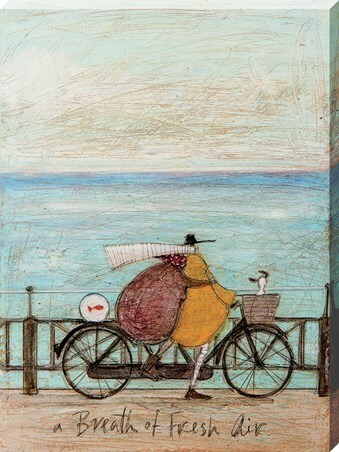 Catching the real beauty of the British coast, this Sam Toft canvas print is one for outdoor lovers wanting to bring the fresh air into their home. 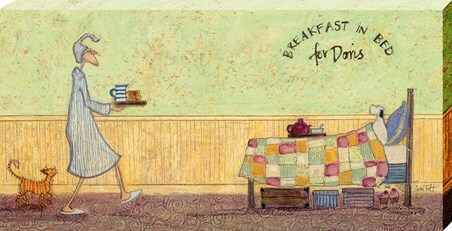 Whether you're adding to your Toft collection or not, this heart-warming piece really does show the 'Perfect Day'! 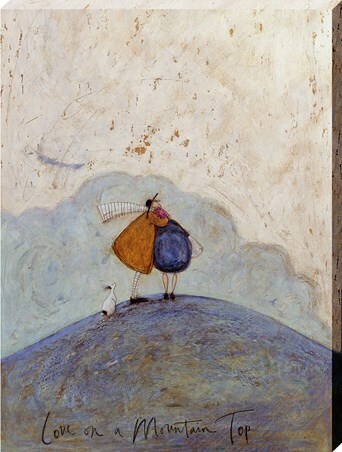 High quality, framed Perfect Day, Sam Toft canvas print with a bespoke frame by our custom framing service.